Missing North Shields man Robert Montgomery. Police are appealing for help to trace a missing man. Robert Montgomery, 35, was last seen on Sunday, November 12, at around 10.35pm at Royal Quays Marina, having left the Mariner’s Arms, North Shields, at 10.15pm. Enquiries to locate him are ongoing but officers have been unable to trace Robert, who is originally from Ireland but currently living in North Shields. 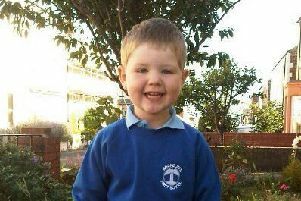 Police are keen to ensure he is safe and well and are now appealing for Robert to get in touch with officers. He is described as 5ft 8in tall, medium build with dark brown hair and tattoo’s on his arms. He was last seen wearing a light blue jumper and dark blue jeans. Robert, or anyone who knows his whereabouts, should contact police on 101 quoting reference 443 13/11/17.